Selling and collecting molas give me the opportunity to express my own creativity and uniqueness, work with colors, different fabric and also share with all my customers and others who love creating unique projects. I love being able to design my own pillows, pillow covers, wall hangings, quilts, bedspread, curtains, etc. These exquisite pieces are authentic and genuine. 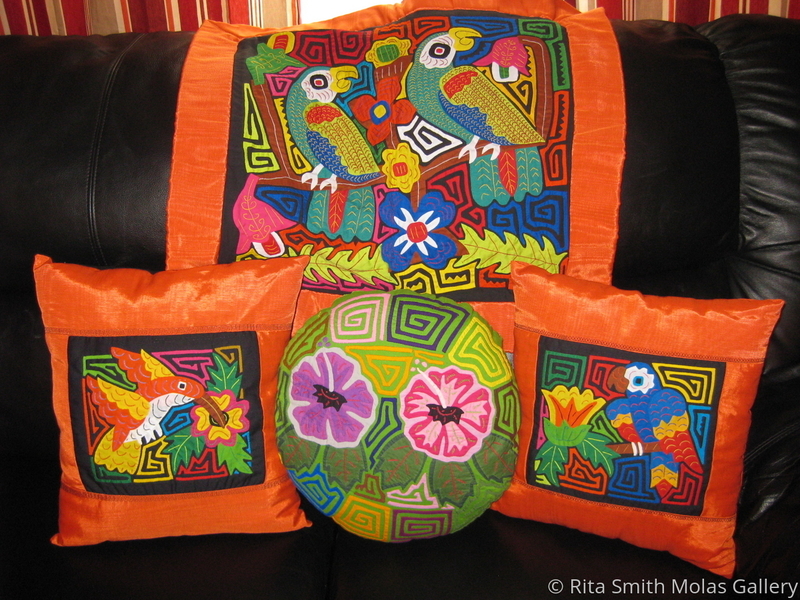 Molas are unique and the most beautiful hand made art that you will love to treasure forever. Molas will look gorgeous on any quilt project, craft project, make a pillow, a delightful wall hanging or bedspread, apply to a purse, handbag, t-shirt, vest, jacket, jean skirt, tote bag, or just framed, etc. Be creative & unique.